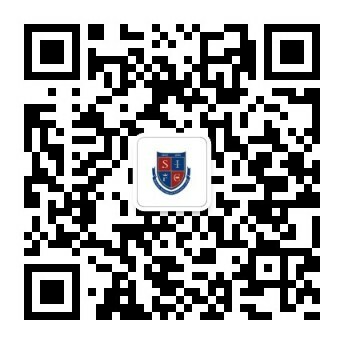 At the start of the new semester, Shenzhen International Foundation College had a new round of admissions events. The Counseling Department aims to build more platforms for students to provide them with more opportunities to interact with admissions officers. Through campus visits, students will receive first-hand information from overseas colleges, including admission data. Universities that visited SIFC previously include: New York University Abu Dhabi, DePauw University, University of Redlands, Babson College, St. Olaf College, Kalamazoo College, Skidmore College, LakeForest College, Bennington College, University of Pittsburgh, Plymouth StateUniversity and The Open University of Hong Kong. New York University Abu Dhabi(NYUAD)is a satellite campus of New York University serving as a fully integratedliberal arts and science college, located in Abu Dhabi, United Arab Emirates. Together with New York University in New York City and New York University Shanghai, the portal campus is part of NYU's Global Network University. The school was first opened in 2008 on a site in downtown Abu Dhabi, where it held various public events such as academic conferences, workshops, and performances. NYU Abu Dhabi accepted its first class of 150 students in September 2010. With financing fromits host Emirate, Abu Dhabi, NYU Abu Dhabi is able to offer financial aid onpar with the top universities in the United States of America. The university has committed to ensuring students and their families take on no debt infinancing their education. Founded in 1837, DePauw University is aprivate liberal arts college offering four-year undergraduate education. DePauwUniversity is located in Greencastle, Indiana, USA. The school currently hasnearly 2,300 students, with a teacher-student ratio of 1:10. There are twocolleges at DePauw, the College of Arts and Sciences and the School of Music.The School of Music at DePauw University is recognized by the Northern University Alliance and is a member of the National Conservatory of Music. DePauwUniversity, led by 18 principals, currently has a distinguished faculty teamand successful student research group. Babson College is located in Wesley, Massachusetts. The campus covers an area of 370 acres and has beautiful scenery. At Babson, there are 22 undergraduate programs in business and humanities. There are also MBA programs and other graduate programs, which offers a variety of interdisciplinary courses. The university has more than 1,700 undergraduate students and morethan 1,600 graduate students from 48 states in the United States and 75countries. Babson College's business school has a strong entrepreneurship program, which has been ranked the first at the States by US News and World Report for 13 consecutive years. Students can learn about entrepreneurial management and learn how to develop important business development skills. Bennington College is located in Vermont, USA, and wasfounded in 1932. In addition to well-established engineering and sciencelaboratories, Bennington has an award-winning library and a complete network ofon-campus computers. There are excellent sports facilities including an 18-holegolf course. Bennington College has seven colleges: the College of Art, theCollege of Education, the College of Agriculture and Biological Sciences. Thereare more than 200 undergraduate degrees and 30 postgraduate courses; master'sor doctoral research programs are offered by all departments. Kalamazoo College is a private liberal arts college built in1833. Kalamazoo College is a school of the Civic Association, but now it doesnot belong to any religion. Kalamazoo College is one of the 100 oldest liberalarts colleges in the United States and a member of the Great Lakes CollegeAssociation. Courses offered at Kalamazoo College include: Music, Drama,English, History, Philosophy, Religion, African Studies, American Studies, EastAsian Studies, Environmental Studies, Health Studies, Human Development andSociety, International and Regional Studies and Media Studies. Founded in 1857, LakeForest University covers an area of 107 acres and was rated as "the bestcollege in the Midwestern in U.S". Lake Forest College is famous for itsdiversity, with students from 54 countries and 47 states. International students make up about 10% of the total number of students. St. Olaf College is aliberal arts college founded in 1874 in Minnesota. The most popular subjects at St. Olaf include mathematics, physics, music and religion. St. Olaf’s music program is also among the best in the United States, but since it is not a specialized music school, St. Olaf doesn't join in national ranking. St. Olaf also offers a variety of music courses, including one-on-one courses for all Western musical instruments, as well asmusic theory, composition and conductor. Founded in 1903, Skidmore College is aprivate liberal arts college with approximately 2,550 students. SkidmoreCollege has more than 60 undergraduate programs for students to choose from, including liberal arts and foundation programs. In addition, students can establish theirown majors based on their hobbies. The most popular majors include English,government, management and business and psychology, etc. Students wouldn’t haveto choose a major until the second year. Students at Skidmore College have many opportunities to interact with each other on formal and informal occasions. The University of Pittsburgh was founded in 1787. The main campusis located in Pittsburgh. There are also four other campuses located in Pennsylvania: Bandford, Fort Collins, Vincennes and Trinitz Leaf area. TheUniversity of Pittsburgh is one of the most prestigious public universities inthe United States. Four alumni from the University of Pittsburgh were awarded withthe Nobel Prize, four were awarded with the National Science Medal, three were awarded with the Pulitzer Prize and two were awarded with the MacArthur Award. You must learn a lot after joining these events. Let’s stay tuned!